With India planning to modernize its infrastructure, analysts are certain that Russian companies would be interested in participating in the new projects. Ageing, inadequate infrastructure, especially in the areas of energy and transport, is one of the factors hindering the development of India’s economy, notes Dmitry Ontoev, an analyst at the SKOLKOVO Institute for Emerging Markets Studies. It is no coincidence that the new Prime Minister of India, Narendra Modi, plans reproduce in India an infrastructure boom similar to the Chinese one. Plans are on to invest $1 trillion in infrastructural projects by 2017. “Taking into account that the global market for infrastructural projects as a whole will only be about $4 trillion over the next few years, this is an astronomical sum,” says Ontoev. First of all, India is focused on the development of the transport and energy infrastructure, and this is exactly where Russian companies have successful experience working in the country. The Russian nuclear energy giant Rosatom is building the Kudankulam Nuclear Power Project and Technopromexport has participated in such projects as the Barh Super Thermal Power and the Vindhyachal Thermal Power. Power Machines has completed the delivery and commissioning of equipment for the Tehri and Balimela hydro development projects. Turnkey contracts exist for the construction of three 660 MW units at Sipat Thermal Power Plant. Renovation of turbine units is being carried out at the Obra and Loktak thermal power plants. Stroytransgaz is involved in construction in India and has successfully completed 10 major projects. The cooperation does not end here. 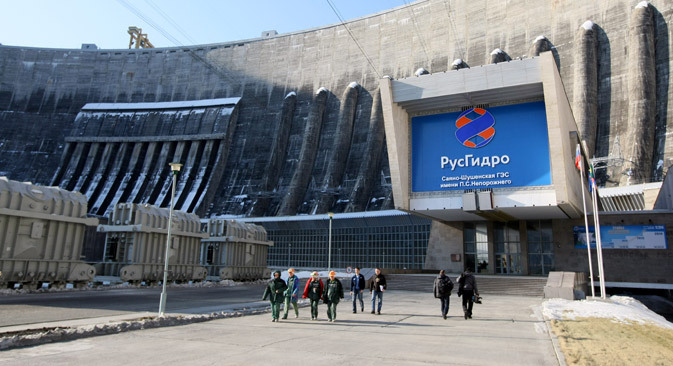 The Russian company RusHydro won a tender for the design of the second stage of the largest hydro power plant in India and plans to participate in the tender for its construction. Ontoev thinks that cooperation in India’s large-scale gasification will be mutually advantageous. According to estimates, gas consumption in India will increase by up to 70 percent by 2020. There has also been a large accumulation of experience with cooperation in other areas, in particular, in transport. Mosmetrostroy is building 7 metro stations in Chennai. In the opinion of Ontoev, cooperation in the area of railway construction also has great potential. Russian Railways and Transmashholding (which makes locomotives and wagons) should become major players. Moreover, Artur Manzhetov, an analyst at the credit rating agency RusRating, points out that after the signing of the corresponding agreements about gas between Russia and China, India began to show interest in Russian gas. “If all of the operational issues can be resolved, including ones concerning the extension of the Altai gas pipeline to India, then it is possible that it will become an additional reason for Russia to expand the framework of partnership, including as it relates to the question of infrastructure. A positive factor is also the recent agreement between the Bank of Russia and the Reserve Bank of India to use national currencies in calculations between the countries,” thinks Manzhetov. However, there are a number of factors hindering the development of cooperation in infrastructure. Above all, this is the high level of competition. Moreover, this manifests as competition between market participants as well as in the search for reliable local partners. The third constraining factor, according to Ontoev, is the complexity of Indian legislation, in addition to technical and environmental regulations. The considerable independence of the state governments from the central government superimposes this problem; the central program could “trip up” in each different state. The large role of non-governmental organizations and local communities is also related to this – infrastructural objects often change traditional human habitats, and in the democratic and rather traditionalistic India, this can stall initiated projects for years. To overcome these problems, Russian companies and state agencies must create a system of coordination and support, thinks Ontoev. “India is a very difficult market, so Russia must build and develop the infrastructure of presence (create representative offices, strengthen alliances with local players, and work with the authorities in the central and state government levels). In addition, it should use “soft power” mechanisms to promote Russian companies in India, as well as the state financial support of export,” he adds. Ontoev is sure that to Russian companies, the effective implementation of infrastructural projects involves attracting, first of all, state funds. And not only in the form of loans, but also in the form of credit by India itself, state guarantees, percentage rate subsidization, export credit insurance, and other mechanisms for the support of export. In Ontoev’s assessment, the state support of export, the long and positive experience of bilateral cooperation, and the potentially higher willingness of Russian companies to take risks may become important competitive advantages for Russian companies. “India has always been Russia’s strategic partner, and in conditions of the shrinking of economic growth and the long overdue need for Russia to ‘turn to the East,’ it would be at least short-sighted to ignore this market,” he says.